My guy and I were having a discussion about food. We actually do this a lot, because he is a real foodie, and a great cook. I mentioned to him about brown bread, and he thought I was talking about pumpernickel. Nope, I said, brown bread. In a can. He thought I was nuts, but I was sure I remembered it being served by my grandmother, when we would visit her in New York. I was six or seven, and gotta say, I was not a fan of brown bread in a can. I asked my mom, and she said yep, brown bread in a can, and it was delicious. And that she hadnt' thought of it in years. But The Vermont Country Store, I've found, has lots of other cool stuff that hearkens from the past. Like LemonUp shampoo, with the cool lemon shaped bottle top. And Max Factor's Pan-Stick makeup, from the 40s and 50s. And Evening in Paris perfume -- straight out of the 1920s. And the real kicker? 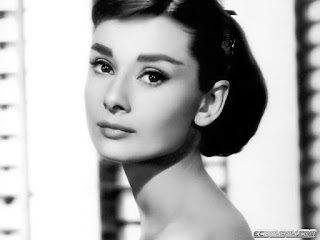 Longcils Boncza liquid eyeliner -- used to give Miss Audrey Hepburn her beautiful cat eyes. How cool is that? They have lots of food, and housewares (including a selection of chenille bedspreads), and even some clothing brands like Lanz. You can even find Necco wafers there. Browse around, cause it really is a blast from the past. And don't forget the brown bread in a can.